I love my crockpot. On super busy days where I feel like I do not even have time to think of dinner, it works wonders! It is by far one of my favourite kitchen contraptions. 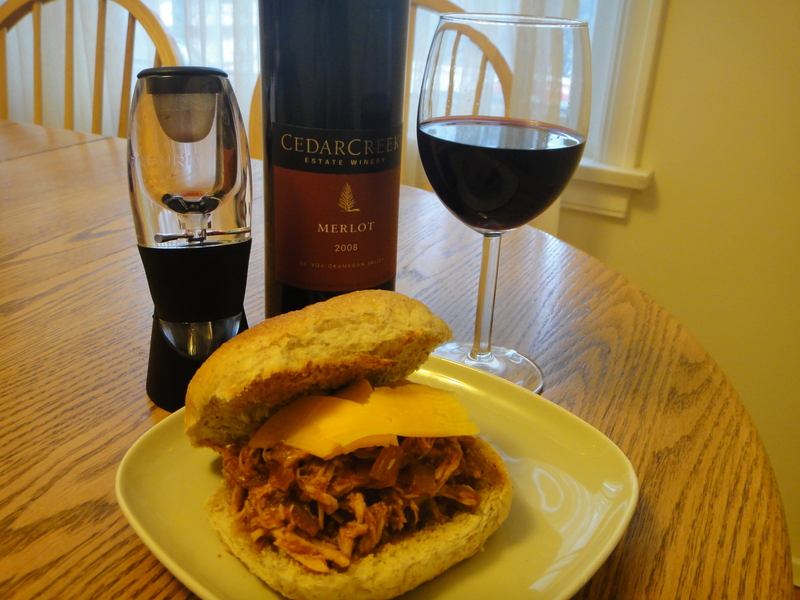 I’ve made BBQ pulled chicken in the crockpot before, but I’ve never recorded the recipe before. Here it is! 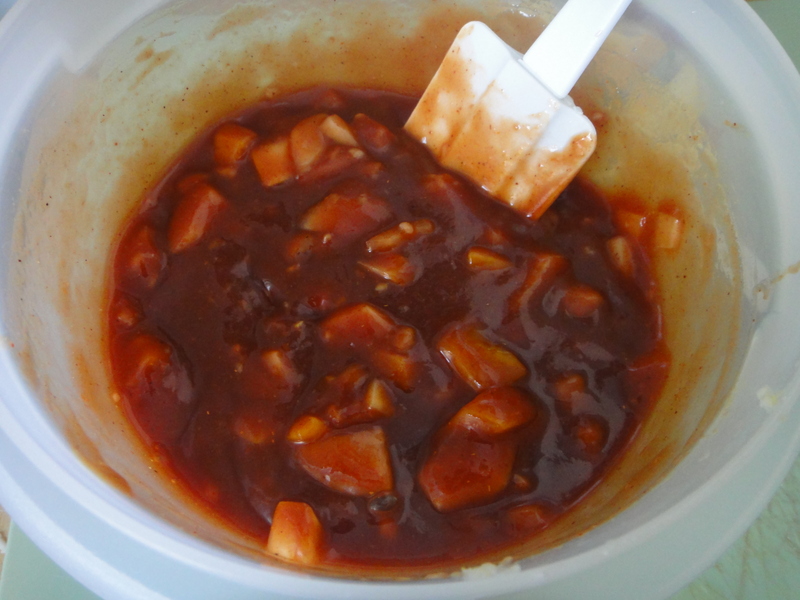 Some BBQ pulled chicken recipes takes no more than a bottle of BBQ sauce and a few pieces of chicken. 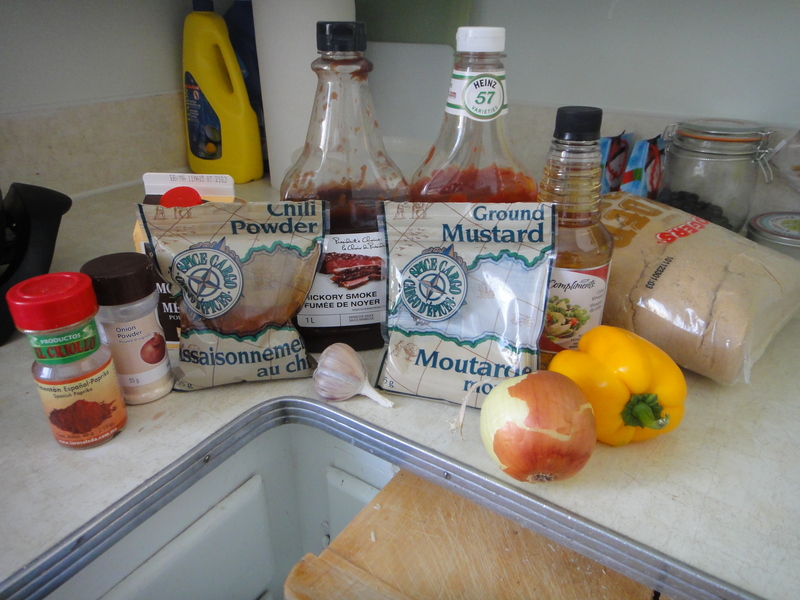 I decided to make a more intricate recipe, with more tasty ingredients. 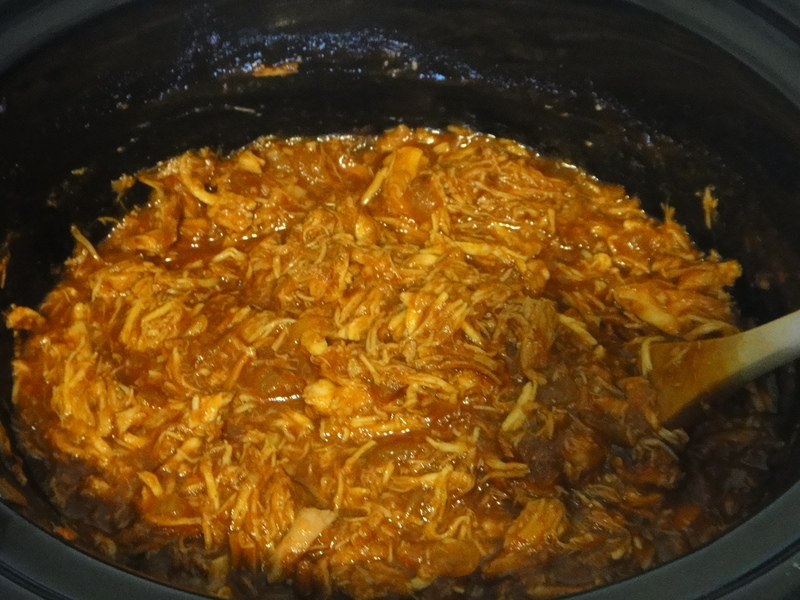 This recipe is also awesome to make the day before, then just pop the ingredients in the crockpot the next morning. 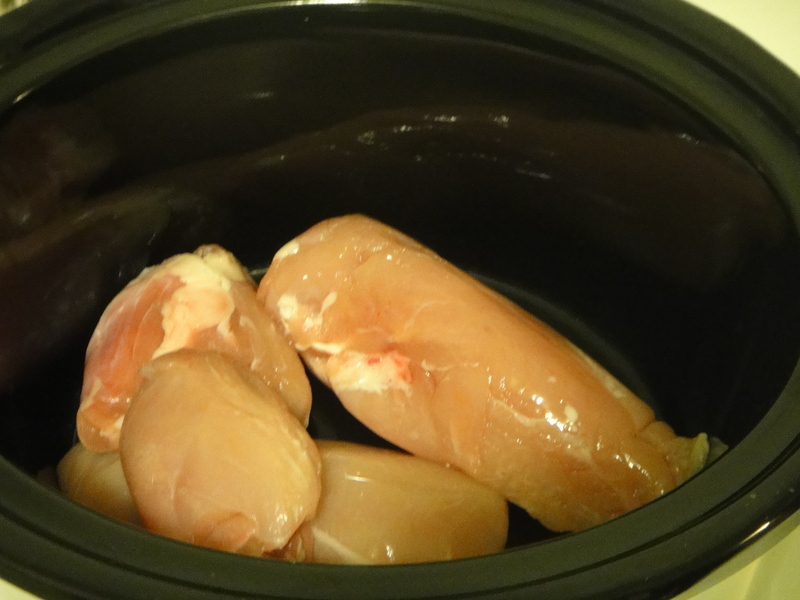 I used whatever bits if chicken I had in the freezer, a mixture of chicken breasts and thighs. In the crockpot it went. hmm! When I got home from work, all I had to do was pull the chicken and let it sit for 5 more minutes. This recipe makes for a very tasty and quick meal. It is definitely a staple in our house! 4 whole wheat buns and cheese slices, for serving. Combine first 11 ingredient in a tupperware container the night before. 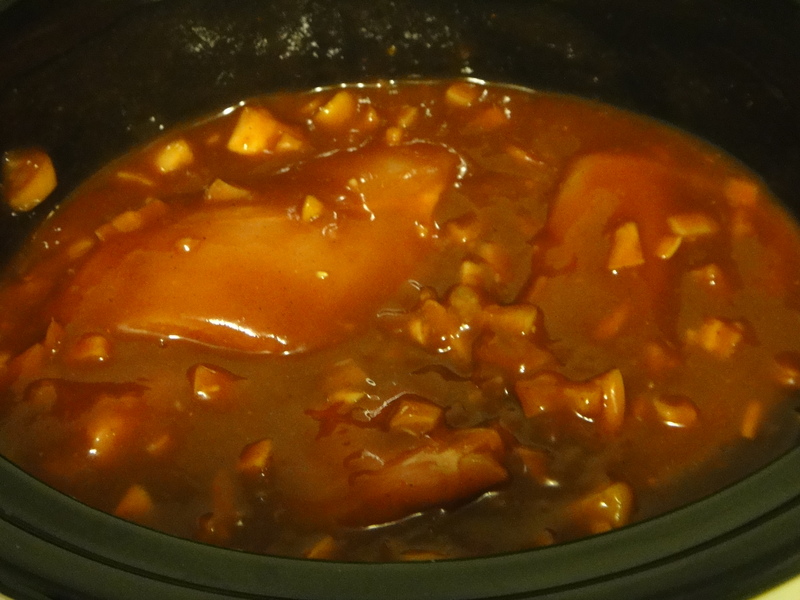 In the morning, add chicken and sauce to crockpot. Cook on low for 7-8 hrs. 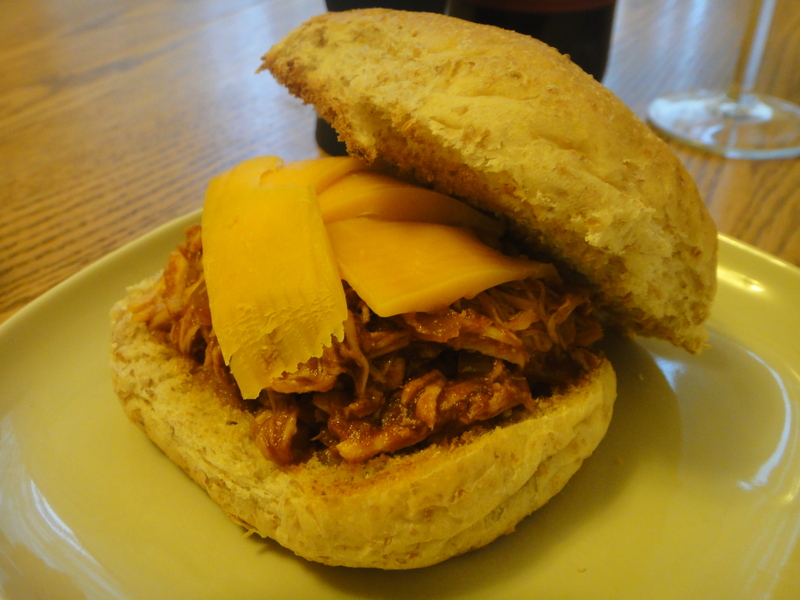 When cooked, “pull” chicken with two forks and let rest in juices for 5 minutes before serving on a whole wheat bun, topped with cheese slices. Enjoy!